How do I fit and remove my contact lenses? How often should I have a contact lens check-up? We will advise you when you need to return for a check-up, based on your individual needs. It is in your best interest to be reviewed at least every 12 months, or more often if necessary. What should I do if I have a problem with my lenses between check-ups? If you have a problem with your eyes or lenses, don’t wait for your next scheduled check-up. If your eyes do not look good or feel good, or if you do not see well, you should contact Brady Opticians for advice immediately on 074 9721727. Can I buy contact lenses from the internet? 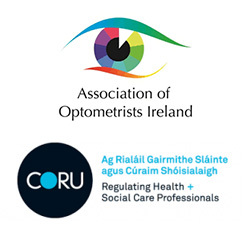 Contact lenses can be sold online, as long as suppliers comply with regulations which ensure that professionals are involved in selling lenses, and lenses are supplied to an in-date specification. To protect you from eye health problems, it is important for you to have a fitting and proper advice from an eye care practitioner, wherever you buy your lenses. You should also make sure that your supplier checks your specification. Will I save money by buying contact lenses via the internet? Possibly – but do not put your eyesight at risk to save money. At Brady Opticians, we operate a clear and transparent pricing policy so that wears can purchase ‘lenses only’, if they chose to, which is comparable to internet pricing. However, the majority of our lens-wearing patients choose to purchase our full professional package as they place significant value on our professional service and our aftercare clinics. What if I just want contact lenses to change my eye colour? If you just want contact lenses that change the colour or appearance of your eyes rather than correct your eyesight (‘zero powered’ contact lenses), you need to take the same degree of care when buying and wearing these lenses as with any other type of lenses. It is essential to have adequate instruction on lens care solutions, hygiene and handling, and to follow all the recommended care procedures. I suffer from hay fever can I wear contact lenses? The answer is yes. A common myth that contact lens wearers were often told, is to avoid wearing lenses when experiencing hay fever symptoms. However, the facts state that modern, soft, daily disposable contact lenses, can actually offer a barrier to airborne antigens by protecting and lubricating the ocular surface. Can young children wear contact lenses? Yes, children as young as eight years old can successfully wear and importantly competently care for their contact lenses just as well as their older peers (Walline et al, 2007 Optometry Vision and Science). Studies show that contact lenses significantly improve how children feel about their appearance, their confidence at school and ability to participate in sports and activities. Are there lenses I don’t have to clean? Yes there are. Please see section ‘wearing schedules for contact lenses’ for further information. Are there contact lenses I can wear overnight? Yes, these are called continuous wear contact lenses. Recently, new ‘silicone-hydrogel’ lenses have significantly improved oxygen transmission passing through to the eye and current research suggests they are no less safe than daily wear soft contact lenses. Theses lenses can be worn overnight and for up to a month without removal. Some eyes are not suitable for this type of lens and even if you are, regular checks of the health of the eye are essential. The lenses are usually fitted as daily wear lenses and if the eyes show no sign of ill effects, overnight wear is commenced. Do I put on my make-up first then my lenses? According to the expiry date on my lens package, my contacts have expired. Can I still wear them? No. Once your lenses are past their expiry date we cannot ensure the lenses or the solution are sterile. We do not recommend you wear contact lenses past their expiry date. Do I need to change my lenses on time? What if they still feel OK? They may feel fine, but changing your contacts as directed by your optician at Brady Opticians is essential. As your lenses reach the end of their specified life, they attract deposits from your eyes, hands and environment. This may affect the lens surface, causing irritation and disrupting your eyesight or affecting your eye health in the longer term.